The wise men have barely reached the infant Jesus to impart their gifts, yet up and down the UK, Christmas trees and decorations are being pulled down as fast as they went up. Only the few holding out for the tradition of 12th night, before they pack away the baubles. We are the few this year. Prompted mainly by our youngest child’s response last year when we took the decorations down on New Years’ Day. Hazel does not yet understand the why’s and wherefore’s of Christmas; she just embraces the magic of all she sees. Christmas lights being top of her list. To see her, last January, sat forlornly staring at the empty space where our tree had been was too much. Think of a puppy looking for its owner to return from a long day away and you’ll get the idea. Only this went on for days afterwards. She sat and solemnly wondered where on earth it had gone. Why had the lights gone out? I resolved to do better for her next time. So this Christmas we went for it. Tree up by 1 December. Lights, lights and more lights. Despite being told by some it was too early. For Christmas lights mean more to Hazel than any present. So much so that a few days before Christmas we were treated to an absolute feast of lights by an amazing charity Give Them A Sporting Chance who so generously took us on an all expenses paid trip to see the Festival Lights at Longleat. Providing us with our very own nurse and extra pair of hands, we were able to literally overdose on a Christmas sensory wonderland of lights! It was utterly magical. Hazel’s face, as she stared up at a 100ft Christmas tree that lit up in every colour on the spectrum, was a picture! Literally all her Christmases came at once. A day we will never forget. Back at home, our humble little Christmas tree did not lose its appeal for Hazel even though she had seen much a bigger and better one on our special day out. It’s not looking its best I have to admit. Not because the needles have dropped – we have yet to brave a real tree; it’s fake all the way here. No. Many baubles and trinkets that started off carefully spaced around the branches are now on the floor – either pulled off or kicked off by Hazel in her fascination with the tree. Branches are bent and sticking out in strange directions. The angel is still sitting proudly on the top as Hazel’s reach isn’t quite that far yet, but it’s only a matter of time. I refuse to bow to popular opinion that says I should take it down. Just as I refused to take any notice of those who said I was putting it up too early. Popular opinion perhaps, but it’s my choice. And so the lights remain. Hazel sees in that tree something the rest of us don’t. She would happily stare at it 365 days of the year I’m sure. She is mystified why it has to come down. She’s got a point. All that excitement, all that expectation of just a few weeks ago. Preparations seem to get earlier and earlier. Some houses in our street were decorated in November! And yet, just a few short weeks later, it seems most people can’t get rid of their decorations fast enough. Put them away, forget about them. Move on. Tidy up. Hazel sees something in Christmas that most of us don’t. She doesn’t fall for the same trappings as we do. She has no expectations of what should/shouldn’t happen. She cares little for the John Lewis Christmas TV ad and has no excitement about hanging up a stocking on Christmas eve. She sees no reason to be sad after Boxing Day when all the presents have been opened. She feels no sense of disappointment, as many of us do – that Christmas promised so much but delivered so little. She sees only lights. The colours. The sparkle. The joy. I wish others could see things the way Hazel sees things. I wish parents who are given the news that their unborn baby has Down’s syndrome could see things differently too. Some do, but most* don’t. The excitement of expecting a baby is quickly replaced with fear. I know. I was one of them. I wish they could see things as we now see them. The few. Instead, they, perhaps understandably, give way to the popular opinion that bringing up a child with Down’s syndrome is a huge problem; to be avoided at all costs. They think it’s their only viable choice. It isn’t. It really isn’t. For them, the lights go out and the tree is taken down. Tidied away. As if it were never there. I wish they could see what Hazel sees. In the UK, 90% of babies found prenatally to have Down’s syndrome are aborted. Categories: Abortion, Down Syndrome, Down's Syndrome, Joy, Prenatal Testing, Trisomy 21, Uncategorized | Tags: #choice, #chooselife, #Christmas, #dontscreenusout, #downssyndrome, #downsyndrome, #festivaloflights, #lights, #NIPT, joy, Parenting | Permalink. Babies in the womb are to be routinely offered a new screening test. This new test will allow each baby, or foetus, to screen their parents for a whole range of potential risks. Very soon all unborn babies will be able to see if their parents carry any risk to their quality of life or future prospects. Screening will be offered for risks such as parents who may be a potential burden to the child in their later years, or parents who may suffer any one of life’s challenges that many people might face such as illness, financial worries, divorce, redundancy or even death. Babies will be offered balanced and up to date information as to the kind of parents they can expect. Full support and counselling will be offered to the unborn should they choose not to take up their parents. They will, of course, be encouraged to try again for a better set in the future. So far, only major risks are being screened for but experts say this is just the tip of the iceberg. It is envisaged that the potential for screening out a whole variety of parents is only a matter of years away. Screening experts say that, in the future, foetuses will be able to ask for all manner of things to be screened including the colour of their parents’ hair, or, in the case of males, whether their fathers may go bald prematurely. Some are hopeful that the new screening tests will be further developed to predict the standard of living the babies’ parents will have as well as the types of upbringing they can offer the baby, to include things such as a good school or a university education. Some experts and parenting groups are urging caution, however. They say there are concerns that babies will even be able to choose their parents based on which football team they support or which supermarket they shop in. Pro-choice lobbies are hailing the new tests are a major step forward for foetuses the world over. “My body, my choice”, said one campaigner. However, it’s not all plain sailing. Despite the huge advances in medical science it seems that babies are largely ignoring the new tests. Despite much pressure on foetuses to take the test it seems that take up has been slow. Well, non-existent really. Doctors are baffled as to why babies seem reluctant to find out as much as possible about their potential parents. It’s a mystery said one. Or perhaps it’s a revelation. 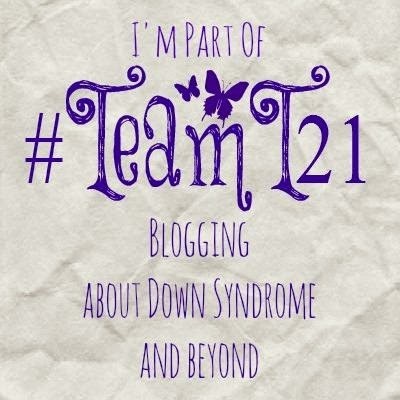 Categories: Abortion, Acceptance, Down Syndrome, Down's Syndrome, Parenting, Prenatal Testing, Trisomy 21 | Tags: #chooselife, #dontscreenusout, #downssyndrome, #downsyndrome, #NIPT, #pregnancy, #Trisomy21, Parenting | Permalink.